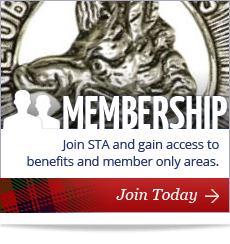 The Scottish Tartans Authority is a registered charity and the only organisation dedicated to the preservation, promotion and protection of Tartan. On our website you can discover the world of Tartan. DO YOU HAVE A QUESTION ABOUT TARTAN? Research Enquiry - As the experts in all things tartan we welcome enquiries on our favourite topic - there is a lot of information on our website for example you can search for your tartan here but if you are unable to find the information you are looking for then please do let us know. As a charitable organisation we unfortunately do not have the resources to participate in unfunded research and so ask for a £10 donation when you submit your enquiry. We will then do our best to answer your enquiry. Any more detailed enquiries may require considerable research time and may result in an additional cost and any such cost which would be advised before the work is undertaken. We are the organisation that is working to deliver - a home for tartan, in the form of a National Tartan Centre. This exciting project is progressing through the development stage following a Feasibility Study and Options Appraisal, which both concluded that a Centre has the potential to be a sustainable attraction that will be showcase for tartan throughout the world. STIRLING AND THE NATIONAL TARTAN CENTRE - Following discussions with a number of location partners throughout Scotland we have decided that Stirling is the ideal location for the home of tartan. With its stunning location nestled below historic Stirling Castle, the city has a proud heritage that includes key historic sites, amongst them; Stirling Bridge, site of the famous battle and the Wallace Monument. 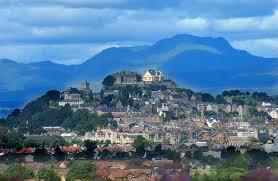 However, Stirling is not just about the past as the city has ambitious regeneration plans and the National Tartan Centre is seen as one of the key project's within the masterplan for the city. The city also has historic links with tartan and was the home of the famous weaving firm Wilsons of Bannockburn, who played such an important role in informing our current perception of tartan and its associations with clans. THE COLLECTION - We maintain a comprehensive collection on tartans including the world's most extensive woven tartan archive and an unsurpassed library of books and documents. We work closely with the Scottish Register of Tartans providing information for the national database. We also champion research and education in the design, history and wider cultural significance of tartan. Young or old - you'll love our free Croft Weaver design programme. 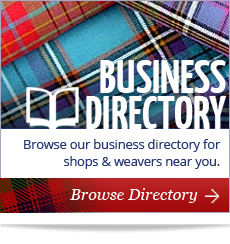 1,000s tartans, quality Highland dress and a huge range of gifts.